Integrity of Financial Reporting is the group's license to operate. Under internal reporting, management understanding of performance drivers and basis for business decisions is founded on accurate and meaningful financial analysis. A strong financial analyst is required to support the financial reporting execution. Preparation and analysis of monthly and quarterly key performance indicators. Reconciliation and investigation of items for prompt resolution. Completing financial accounting and reporting activities. Partnering with the business operations to ensure the completeness of accounting records. Bachelor/Master degree in Business Economics, Accounting or equivalent with GPA 3 or above. 3-5 years relevant work experience (accounting or other relevant experience). Experience in Oil and Gas Production Sharing Contract (PSC) environment preferred. Ability to influence others and work in a team environment. Proven record of initiative, leadership and academic achievement. Attention to accuracy and detail and ability to meet priorities and deadlines. Willingness to take self-initiative and seek challenges. Ability to work full-time (40 hrs/week). FRAUD WARNING!! ExxonMobil Indonesia will never ask applicant to pay a processing fee, ask for money or appoint any travel agent for the recruitment process. 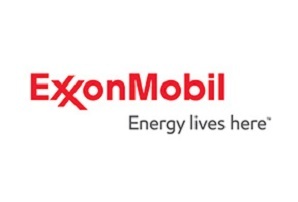 Thanks for reading ExxonMobil Jobs: Financial Analyst. Please share...!